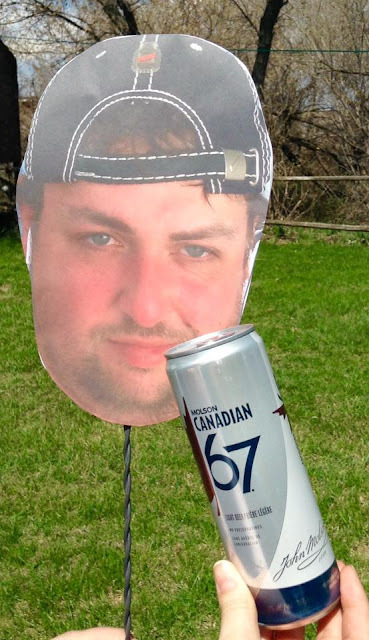 I love Dieu du Ciel! Now it's time to try one of Dieu du Ciel's Rosée d'Hibiscus for the first time! 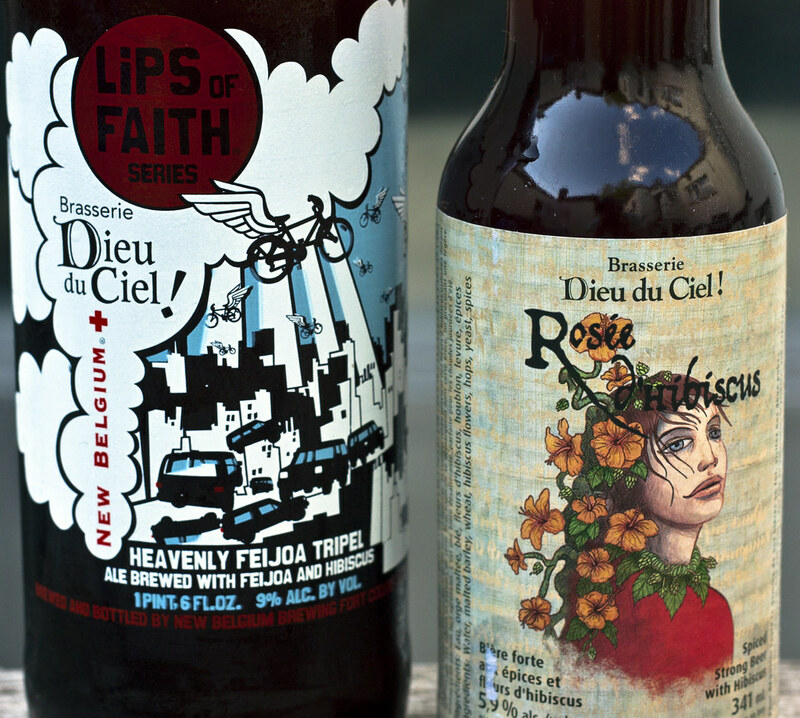 I tried just about every other Dieu du Ciel beer already and hell, I even TRIED a collaboration ale between Dieu du Ciel and New Belgium to create the Heavenly Fiejoa Tripel Belgian-style ale. I reviewed Heavenly Feijoa last year and it was pretty damned good. Check out the review here! Also, we will do a comparison afterwards. 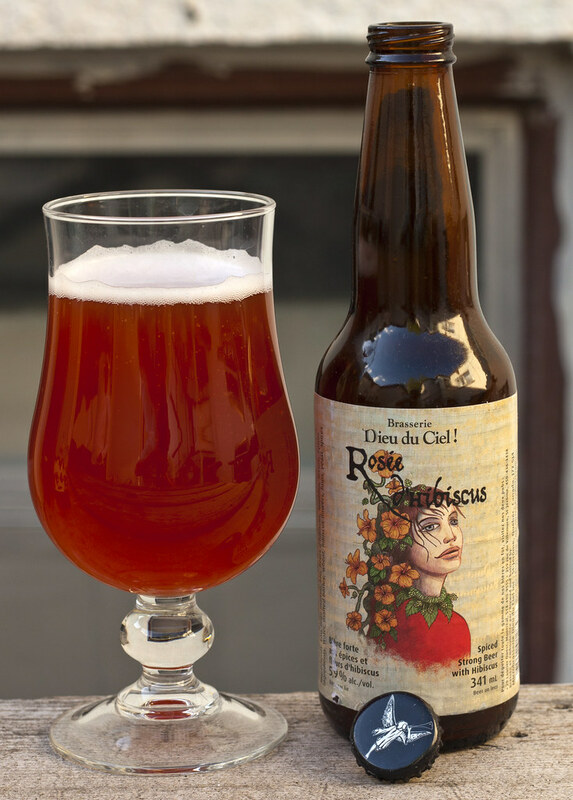 Appearance: Dieu du Ciel's Rosée d'Hibiscus pours a cloudy reddish cherrywood. A light amount of foam, less than half a finger thick of a light pink foam.. goes down quickly with a film clinging by the side. Aroma: First notes: coriander, very floral, some roses in there, incredibly sweet like a Unibroue Éphémère cerise, light tartness, but overall reminds me of cherries and the tartness is supposedly from the floral hibiscus flower. Taste: Belgian yeast comes out first, secondly a sweet cherry like flavour, tartness coming from the floral hibiscus, leaves a very tart aftertaste that is reminiscent of a Belgian sour, but light. Actually it also reminds me notes of my mom's favourite faux fruity wines like Arbor Mist. Overall Thoughts: Seriously one of those great summer time beers, lots of sweet notes of fruits like cherry and strawberry, tartness coming from the hibiscus flowers to keep your mouth thinking long after the beer's done, some aroma & taste notes that remind me of Arbor mist, coriander, Belgian yeast and hints of a sour ale. Appearance: Pours a somewhat-hazy copper orange, not that unfiltered in appearance compared to most Belgian ales I've had, decent amount of off-white head that just STICKS to the side. Aroma: A bit sour ale. Quite a sour ale, a bit sweet, , note of grapes, floral hibiscus flowers, very sweet grapeness, reminiscent of a fine wine, a bit sour. Taste: A bit like a fine wine on the palate, sweet yet sour and tart notes, a bit warmth, memories of grapes, a bit sour and dry... damn... this ain't your standard beer! Sour and very tart like a Belgian sour. Bit of a note of apple, but sour ale for the most part. Overall Thoughts:Your standard Belgian sour, yeasty, sour, kind of sweet from apples, very strong, and nearly made me barf as it was incredibly strong on my palate. Out of the two.. which was the better of the two? 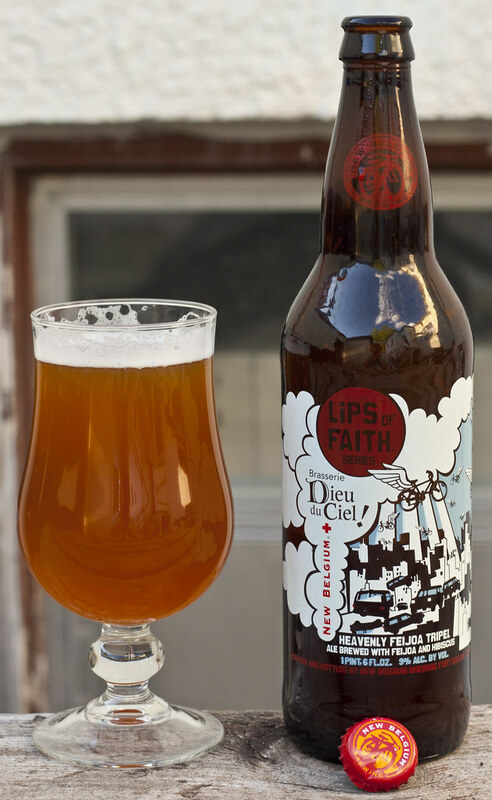 You could obviously tell Dieu du Ciel's involved in New Belgium's beer as it has obvious floral and sweet fruity notes all over the place in Heavenly Feijoa Tripel. I preferred the original, Rosée d'Hibiscus the most in the end, it was a great sweet, floral and not too strong in flavour, especially as it was only 5.5% ABV. Rosée d'Hibiscus is coming to Manitoba soon.. but for something like $26 per 6 pack. Ouch. 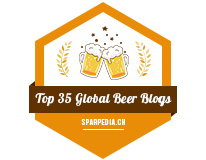 I've tried Dieu du Ciel's Rosée d'Hibiscus before but it never made it into the blog... If I can get another bottle this summer I will definitely add it. Great review!